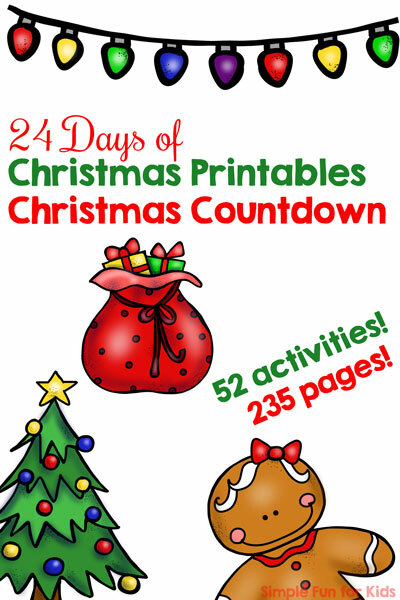 Welcome to day 9 of the 24 Days of Christmas Printables for Toddlers! Last week for day 4, I shared some Snowman Numbers 2-Piece Puzzles, and today, I have a slightly different take on learning numbers with puzzles: Fun in the Snow 2-Piece Number Puzzles! Laminator and laminating pouches. These puzzles work well with heavy paper, too, but laminating them definitely makes them way more durable. 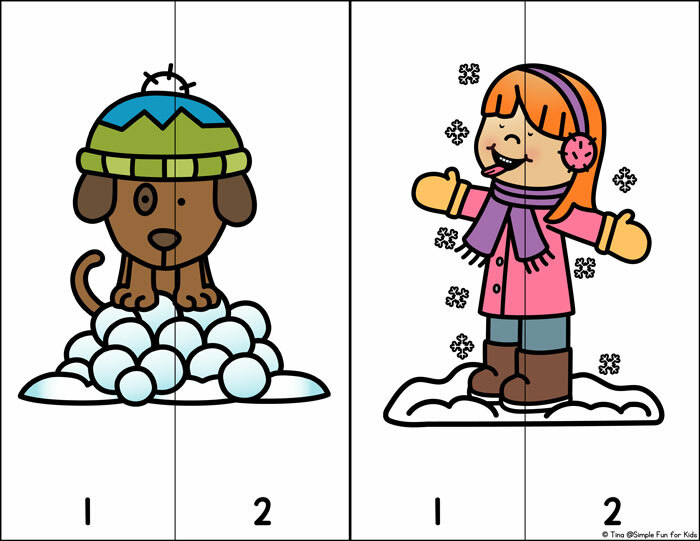 The printable includes 8 different puzzles with cute images of kids and a dog playing in the snow: A dog sitting on a pile of snowballs, a girl catching snowflakes, a boy and a dog on a sled, a girl with a snow cream stand, a boy looking out the window at snowflakes, a girl making a snow angel, a boy with a snowman, and a girl holding a snowball. Each puzzle is made up of two rectangular pieces with numbers 1 and 2 respectively at the bottom. Print the page(s) you want to use, laminate them, and cut them apart at the black lines. Start doing one puzzle at a time, then mix several ones as your kids gain more experience. Make sure to discuss the images, the details, and the numbers while working on the puzzles. 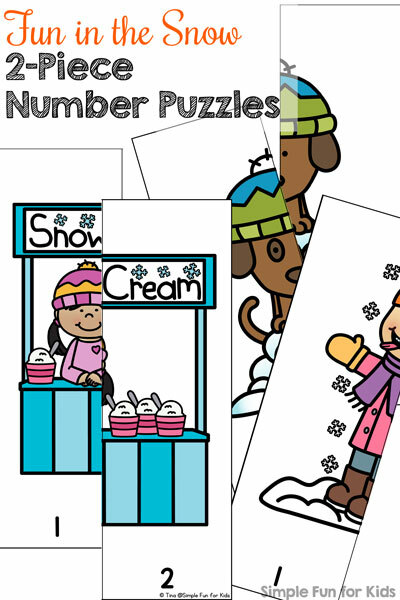 Download your Fun in the Snow 2-Piece Number Puzzles!